Details about 2x Mercedes-Benz Silver Logo 3D Domed Stickers. Size 65x17mm. 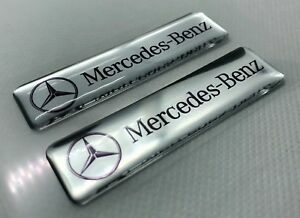 2x Mercedes-Benz Silver Logo 3D Domed Stickers. Size 65x17mm. £0.00 P&P for each additional eligible item you buy from optodecor.